This pharmacy spam comes with a .VCF attachment to try to bypass spam filters and common sense. In case you didn't know, a .VCF file is a vCard contact file that can be imported into your email application. From: Leticia Boyer M. D.
Hello, my name is Leticia Boyer, M. D., and I'm your new family physician. 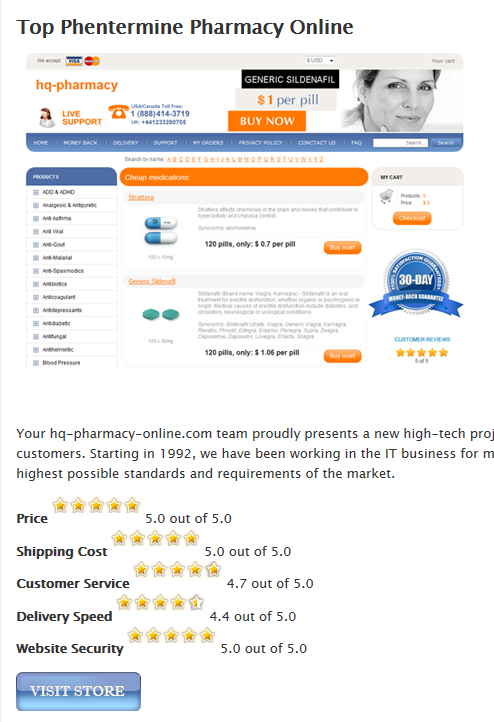 I want to recommend you online pharmacy with great amount of medicine and 70% discount. so you are able to find more info about me as well as link of mentioned pharmacy. NOTE:The station was located to the south of Raglan street and between Evans street and Station street. The link in the email isn't malicious as it is just a fake pill site.. but it could be. This is a fairly novel approach at spamming though (I first saw it a couple of days ago) and it could well trick people into adding a contact.. although whether or not they would be daft enough to believe that this "new physician" would really be recommending a pharmacy with a Russian domain name remains to be seen. ccccooa.org ("Cumberland County Council on Older Adults") is another hacked WordPress site being used to serve pharma spam. I got 82 of these all at the same time..
We ask you to confirm your email address before sending invitations or requesting contacts at Linkedln. 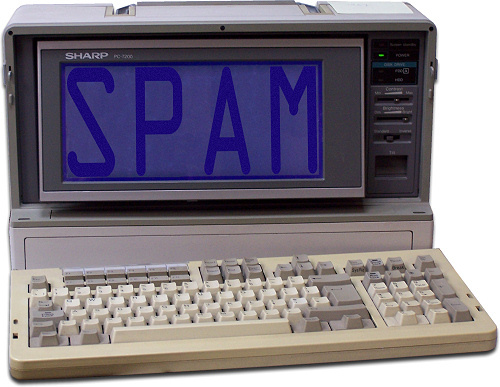 You can have several email addresses, but one will need to be confirmed at all times to use the system. Thank you for using Linkedln! One example landing URL is [donotclick]www.ccccooa.org/buyphentermine/ which leads to a sort of intermediary landing page.. This is turn goes to a redirected at [donotclick]stylespanel.com/h/go/phentermine.php and then to [donotclick]www.hq-pharmacy-online.com/search.html?q=phentermine which is a fake pharmacy site hosted on 95.211.228.240 (LeaseWeb, Netherlands) which is registered to a probably fake address in Argentina. Avoid.. oh, and if you run a WordPress site please make sure the software is up-to-date. This IPs host (fake) pharma sites which seem to be associated with this gang and share some of their infrastructure. As far as I can tell, none of them host malware.. but the IPs involved could be repurposed as malware servers and blocking them might be prudent. Another very aggressive spam run promoting accooma.org which is a fake pharma site..
You recently requested a new password for your Facebook account. It looks like we sent you an email with a link to reset your password 2 ago. This is a reminder that you need to complete this action by clicking this link and Confirm or Cancel your request. If you have any other questions, please visit our Help Center. The emails vary somewhat in content. I've received 60+ of these today to one email account alone, so this site is being pushed very hard indeed. 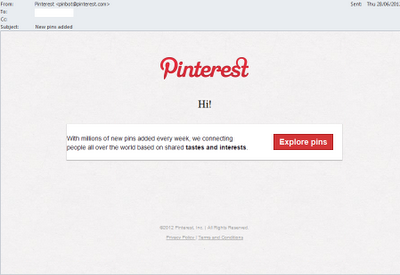 Although the email is annoying, it does not seem to be harmful. 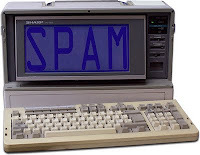 For more details, see this earlier post about another spam run for the same domain. The following information for your ID [redacted] was updated on 02/09/2012: Date of birth, Security question and answer. If these changes were made in error, or if you believe an unauthorized person accessed your account, please reset your account password immediately. This is an automated message. Please do not reply to this email. If you need additional help, visit our Support Center. The link in the email goes to a landing page on accooma.org (184.82.155.18 - HostNOC, US) which clicks through to classic-pharmacy.com (184.82.155.20 - also HostNOC). These two IPs are very close together which indicates a bad block. There does not appear to be any malware involved (see here and here) and of course nobody has changed any details on your account. You can safely ignore these emails. This unusual spam leads to a fake pharma site on pillshighest.com via vagh.ru and an intermediate hacked site. We recently learned that the vendor we use to answer support requests and other emails (Zendesk) experienced a security breach. Don't share your password. We will never send you an email asking for your password. If you get an email like this, please let us know right away. Beware of suspicious emails. If you get any emails that look like they're from our Support Team but don't feel right, please let us know - especially if they include details about your support request. Use a strong password. If your password is weak, you can create a new one. We're really sorry this happened, and we'll keep working with law enforcement and our vendors to ensure your information is protected. This email was sent to [redacted]. There appears to be no malware involved in this attack. After the user has clicked through to the hacked site (in this case [donotclick]www.2001hockey.com/promo/page/ - report here) the victim is bounced to [donotclick]vagh.ru on 193.105.210.212 (FOP Budko Dmutro Pavlovuch, Ukraine) and then on to [donotclick]pillshighest.com on 91.217.53.30 (Fanjcom, Czech Republic). Your Apple ID ([redacted]) was used to sign in to FaceTime, iCloud, and iMessage on an iPhone 5. If you have not recently set up an iPhone with your Apple ID, then you should change your Apple ID password. Learn More. Copyright 2013 Apple Inc. 1 Infinite Loop, Cupertino CA 95014 - All Rights Reserved. Cyberbunker is nothing but bad news. Blocking 84.22.96.0/19 is an exceptionally good idea. This message was sent to [redacted]. Should you have any questions, or if you believe that you have received this in error please contact us at support center. This is a quick note to let you know about some changes we've made to the email settings in your StumbleUpon account. We've created a bunch of new notification options that allow you to have more control over what types of emails you'll receive from us. These new notification options are not compatible with the old settings, so your settings have been reset. We apologize for any inconvenience, and want to make sure we only send you the emails you want to receive. Now what? Please click here to head over to your email settings and update your preferences, so we know exactly what emails you'd like to receive from StumbleUpon. Want to receive all notifications about shares from friends, recommended Stumbles, and more? Great, you don't have to do anything at all! P.S. Haven't signed in for a while and can't remember your password? You can reset it here by entering the email address used in this email. Please don't reply to this message - for all questions, check out our Help Center. To visit your email settings, please click here. - We want you to feel as comfortable as possible while you?re at our portal. Do doubt sent out by the same crew who are pushing malware, this pharma spam seems to have hit new highs. Hello. Thank you for your order. We greatly appreciate your time and look forward to a mutually rewarding business relationship with our company well into the future. At present, our records indicate that we have an order or several orders outstanding that we have not received confirmation from you. If you have any questions regarding your account, please contact us. The link in the email goes through a legitimate hacked site to [donotclick]xree.ru/?contactus but then it redirects to a seemingly random fake pharma site. However, the redirect only works if you have the referrer set correctly. Honestly, who sends this sort of crap out on Christmas day? Umm.. equally, who checks their spam filter on Christmas day. Anyway, this is what the godless eastern bloc pinko commies athiests spammers are sending out today. Thank you for your letter of Dec 25, your information arrived today. Regards, Yuonne Ferro, Support Team manager. "Thank you for contacting us, your information arrived today." "Thank you for your letter regarding our products and services, your information arrived today." "Thank you for considering our products and services, your information arrived today." "Jonie Gunther", "Noreen Macklin", "Bonny Oconnell"
The spamvertised site is hosted on 84.22.104.123, which is Cyberbunker. Given their awful reputation, I am surprised that they haven't been de-peered. Yet. The following information for your ID [redacted] was updated on 12/17/2012: Date of birth, Security question and answer. If these changes were made in error, or if you believe an unauthorized person accessed your account, please reset your account password. Your Account is now available. Our systems were unavailable due to maintenance and upgrading system. We apologizes for any inconvenience and appreciates the patience while this critical maintenance was performed. If you still face the problem then it would be better if you contact our team. Not malware this time, but Pharma spam.. the links in this fake Apple message lead to welnessmedical.com. If these changes were made in error, or if you believe an unauthorized person accessed your account, please reset your account password immediately by going to iforgot.apple.com. To review and update your security settings, sign in to appleid.apple.com. This is an automated message. Please do not reply to this email. If you need additional help, visit Apple Support. TM and copyright © 2012 Apple Inc. 1 Infinite Loop, MS 96-DM, Cupertino, CA 95014. It's our old friends Cyberbunker again, who have registered the block with fake details. How RIPE lets them get away with this I don't know. If you can, I recommend blocking the entire 84.22.96.0/19 range as almost everything here is pretty seedy. You can read more about Cyberbunker's very dark grey hat activities over at Wikipedia if you want more information. Spammers will try anything.. this email pretends to be from Pinterest but it actually appears to lead to a fake pharma site at medicarewichi.com. ©2012 Pinterest, Inc. | All Rights Reserved. The spamvertised site is hosted on 91.238.180.92 which looks like a cesspit of toxic sites and is probably best blocked. This is an automatic message from the Internet Movie Database (IMDb) registration system. Our system detected your password is too weak. Short passwords are easy to guess. If you used your IMDb password at any other sites, you'll need to change those passwords as well. It's an interesting and novel approach, and it could easily be adapted for malware rather than fake prescriptions. thepharmhealth.com is hosted on 80.232.131.201 (SIA Lattelecom, Latvia). This spam appears to be from Digg, but it leads to a fake pharmacy. It could easily be adapted to distribute malware though, and this is the first time that I have seen a fake Digg message such as this. Thank you for registering with us at Facebook social sharing. We look forward to seeing you around the site. Now your friends can see what you're reading around the web. Also you can add or delete any article from your activity. Click the Social button to turn this off. 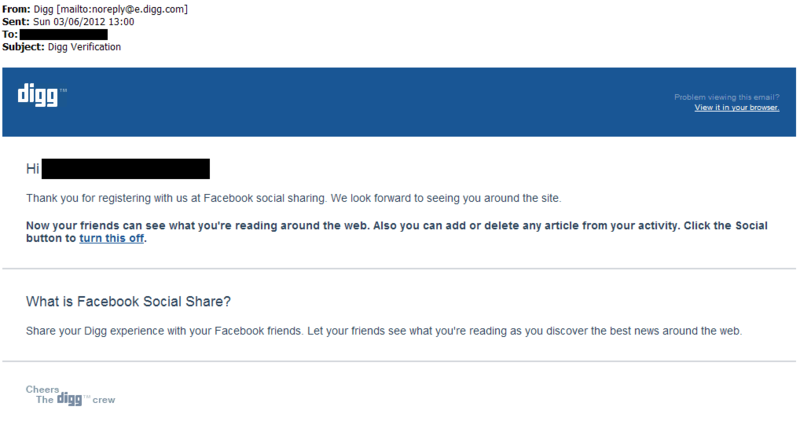 What is Facebook Social Share? Share your Digg experience with your Facebook friends. Let your friends see what you're reading as you discover the best news around the web. The email looks pretty convincing, but the link in it is a redirector to a bogus pharamacy site at dietpilldrugstore.com on 94.155.49.57 (ITD Network, Bulgaria). That IP address has a number of other fake pharma sites (listed below) and is probably worth blocking. � Myspace Inc. All Rights Reserved. The link in the email goes to a variety of fake pharma sites, all of which appear to be hosted on 91.212.124.152 in a block registered to one Aleksandr Nikolaevich Nikultsev in the Ukraine. The doesn't seem to be much you would want to visit in 91.212.124.0/24 so blocking the whole lot might be prudent.